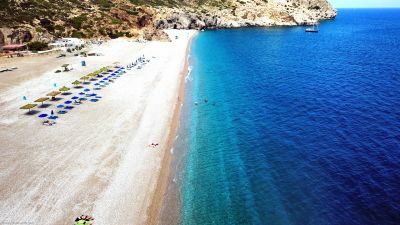 Afandou (Afantou) Being one of the longest beaches in Rhodes, Afandou Beach is located 19 km south of Rhodes town. The village of Afandou (Afantou) lies around the natural bay. This beach offers some commercially organized parts, as well as parts that are not organized.